The invoice, that essential but burdensome formality between a job well done and getting paid. Sometimes, the period between those two events can take a troublingly long time, making it difficult to pay suppliers and potentially damaging business working relationships. This can have a knock-on effect on cash flow and cause serious problems down the line. According to research from SAP Concur, 78% of organisations have paid an invoice late and 58% have been charged late payment fees, while a single supplier invoice can involve an average of 15 people on its journey – 15 people who could be better used elsewhere. So, why are you still messing around with paper receipts and spreadsheets? Leave these admin tasks to software and free up yourself and your talented employees to focus on strategy and creativity. An automated process captures and processes invoices quickly and accurately when they are received, whether paper, e-mail or fax. Any electronic data is automatically mapped, formatted and populated into the app – all your finance team needs to do is verify the results. This can help to mitigate one of the most common results of unpaid invoices: cashflow issues. Increasing your short-term cashflow enables you to settle your outstanding debts sooner and take advantage of new opportunities. As well as being tedious and time consuming, manual data entry is vulnerable to human errors that could cost your business. When it comes to something as important as settling invoices, you can’t afford mistakes. People having to sort and process copious amounts of information over a long period of time can get distracted and lose track. Machines, on the other hand, are less prone to these mistakes and can work round the clock. An automated invoice management process allows your business to streamline accounts payable. And by reducing delays and errors, you significantly reduce processing costs. You’re also not paying anyone for the time it can take to manually process invoices. This means their time and effort can be devoted to more valuable tasks elsewhere. Tools such as SAP Concur enable you to control spending ‘even before it happens” by vital trusted data and metrics. You can make and justify key decisions, as all data integrates into a single platform for an accurate and complete view into spending patterns and buying behaviour. Meanwhile, interactive and customisable dashboards provide a tangible and visual way to assess data and provide a real-time view into what’s being spent and who’s spending it. Consistently late invoice payments can sour relationships between your business and your suppliers. In fact, nearly a quarter (23%) of organisations surveyed by SAP Concur have had suppliers refuse to ever work with them again. Even if they don’t break off their relationship with you, the hassle caused by suppliers chasing late payments can needlessly tie up your team. 90% of accounts payable teams regularly have to handle calls from suppliers chasing payments. 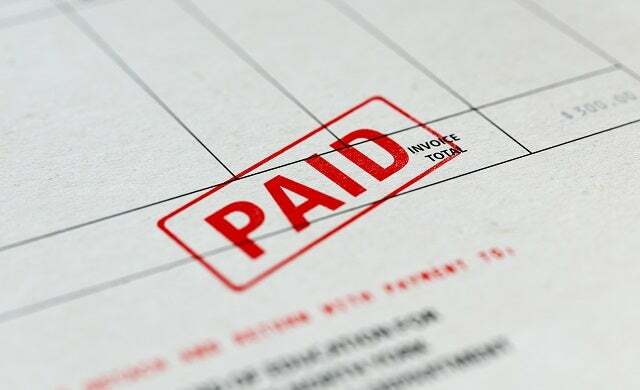 An automated invoice process gets your payments settled promptly and ensures a long-lasting and fruitful relationship with your suppliers. And the transparency granted by invoice software allows you to check on the status of an invoice at any time so you can manage expectations. SAP Concur managed 6.7 million invoices last year, allowing people like you to focus on what really matters: strategy and growth. Find out more about Concur invoice management for small business here.